After years of playing all types of sports, I can genuinely tell you tennis is one of the greatest sports ever invented. I think that’s evident by its worldwide success. If you’re not a tennis fan, you may not realize how many people play the game. Almost every country in the world has tennis courts and players. Looking at the players ranked in the top 100 for the ATP (men) and WTA (women) professional tour, you can see a tremendous number of countries represented. Tennis is also played at the Olympics. There is a huge global interest in the game and the professionals play matches in filled stadiums around the world, including North America, South America, Europe, Asia, and Australia. But there are other reasons why tennis is a great sport. 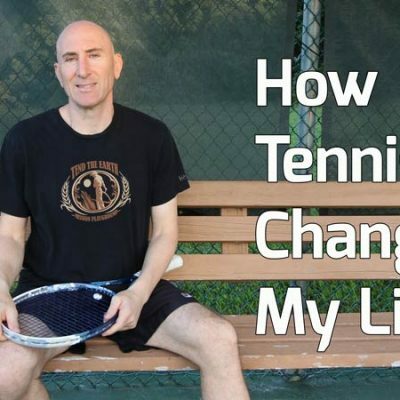 After being involved in tennis for 25 years, I can list out many of the reasons quite easily. 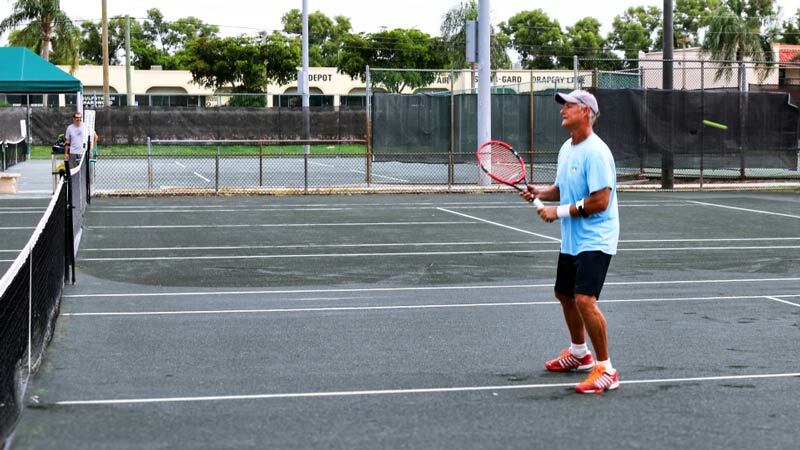 Is Tennis A Good Sport For Seniors? 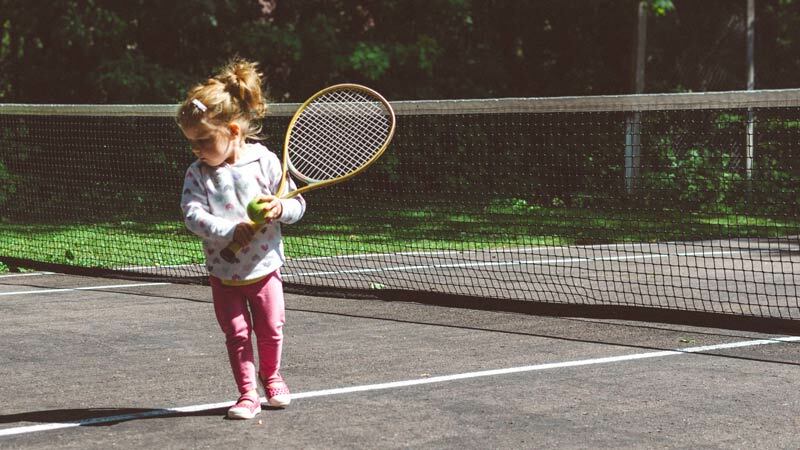 Is Tennis A Good Sport For Kids? Is Tennis A Team Sport? Is Tennis A Social Sport? 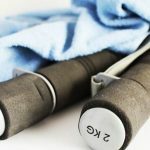 Is Tennis A Good Workout? Is Tennis A Challenging Sport? Is Tennis A Fun Sport? Is Tennis A Competitive Sport? As you can see, there are many reasons to answer the question: Why is tennis a great sport? For me, I wouldn’t want to play any other sport. I was an avid baseball and basketball player growing up. I dabbled in football and tried my hand at combat sports too. But the one sport I always looked forward to playing the most is tennis. When I was younger, basketball was the only sport that came close to tennis for me. Unfortunately, father time forced me to step away from the game around age 40. My knees couldn’t take the stress that constant jumping puts on them. Interestingly, no matter how much I play tennis on hard courts, my knees always feel fine. Since its inception 400 years ago, tennis has been a popular game – no doubt because of how much fun it is to play. Most tennis participants find the game absolutely addictive, which non-tennis players will never understand. If you play tennis, you know what I’m talking about. If you don’t play tennis, I urge to begin playing. Many of the most popular sports, like football, basketball, and soccer, are a young persons game. I don’t know anybody who plays tackle football at age 50. In these types of contact sports, participants can easily be hurt. Tennis, on the other hand, is a non-contact sport and so the chances of injury are much less. Sure, tennis can be hard on the body, but it depends on your level. 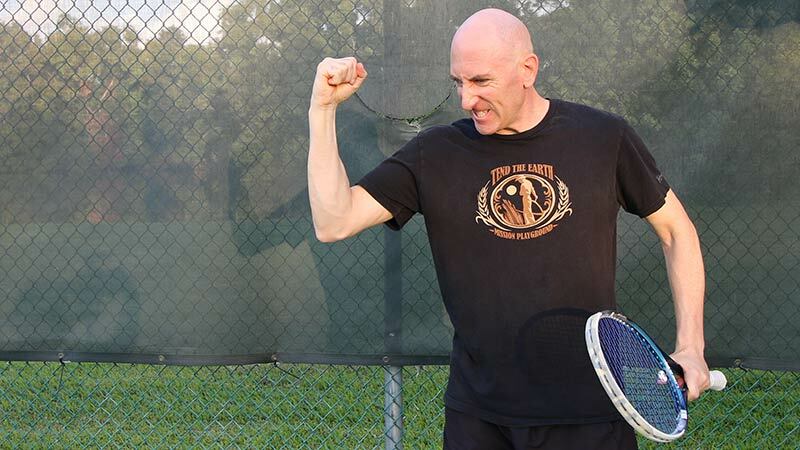 In my experience, competitive tennis players can play well into their 60s and even 70s. At my local tennis club, we have a regular player named “Wolf” who is 71. The guy plays three hours a day and is as sharp as a tack. Wolf is definitely an inspiration to me. At 71, he tracks down balls that you would expect from someone 30 years younger. Wolf doesn’t do other exercises except for play tennis, and his diet is not the best, but playing tennis every day has kept his body in good form and his mind clear. In my opinion, as long as you don’t wreck your knees or shoulders at any point in life, you can probably play tennis life-long. Now, you may not be able to compete at the same level when you get to be 50 and beyond, but the drop-off is much less steep than other sports. For example, John McEnroe is almost 60 and he can compete with pros who are 40-years-old and off the tour just a few years. The same just can’t be said for a sport like football or basketball. I recognize Michael Jordan (now aged 55) as the greatest basketball player of all time. If you put him in a one-on-one game versus a player currently in the NBA who is 20 years younger, that NBA player would torch him. It wouldn’t even be a contest, despite Jordan’s immense skill level. That’s because the physical drop-off makes a huge difference in other sports. But in tennis, the drop-off is much less noticeable. Additionally, physical shortcomings can be made up with skill and smarts in tennis. I play in singles and doubles leagues with guys in their 50s and 60s. I can tell you for certain, that these guys still have it. They may not be able to run with me in singles (few can), but their hitting skills and volley touch are still there. I believe power and hand-eye coordination remain with you life-long, as long as you play consistently. Watching the older guys play, it gives me hope I can still be a competitive player 30 years from now. In a weird way, I kind of look forward to seeing what it will be like to play tennis in my 70s. Now, my 80s might be a different story. But you know what, I’ll still get out there and at least hit the ball! Tennis is one of the most awesome sports because anyone can play. You don’t have to be a super athlete, 7 feet tall, or be extremely gifted to hit a tennis ball. You can be a boy, a girl, 5 years old or 70 years old, and still play and enjoy the game all the same. 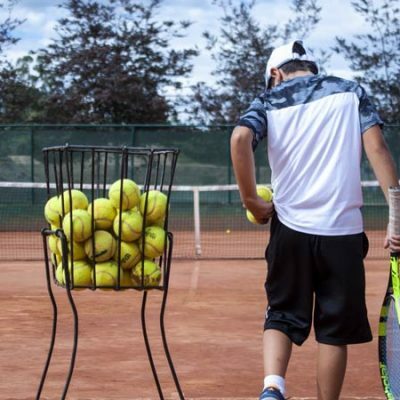 Tennis is also one of the few sports where skill and technique can really make up for physical differences. Being this is the case, trained female players can easily beat male players with little or no training. I like the parity there. In sports like football, basketball, fighting, and hockey, men can use their strength and size advantages to excel over women. No such luck in tennis. While kids can compete in contact sports at a young age, it’s not always advisable, such as in football and combat fighting. Head trauma is a real thing. But tennis involves none of that. It’s completely safe for children. 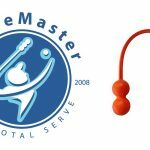 Nowadays, we have balls, rackets, and courts specially created for kids. The younger ones really love the game and take to tennis very quickly. I don’t see the same love in other sports from kids, though that’s my subjective opinion. Tennis can be played as an individual sport or as a team (doubles). When playing singles, it’s all you out there. You take all the reward for your victories and all the responsibility for your losses. There is no partner to blame and nobody to rely on to carry you. Doubles, on the other hand, brings in the team aspect of the sport. I love the comradery of playing with a partner. It’s us against them. Not only that, but there are so many possible combinations to form teams and matchups. For example, if you have 8 guys playing in a group, you can mix up the teams in many ways. This creates intriguing style matchups. Most other sports aren’t versatile like tennis in this way. Nobody can play baseball or football alone. Basketball and soccer can be played one-on-one, but it’s not nearly as fun and interesting as playing team-vs-team. 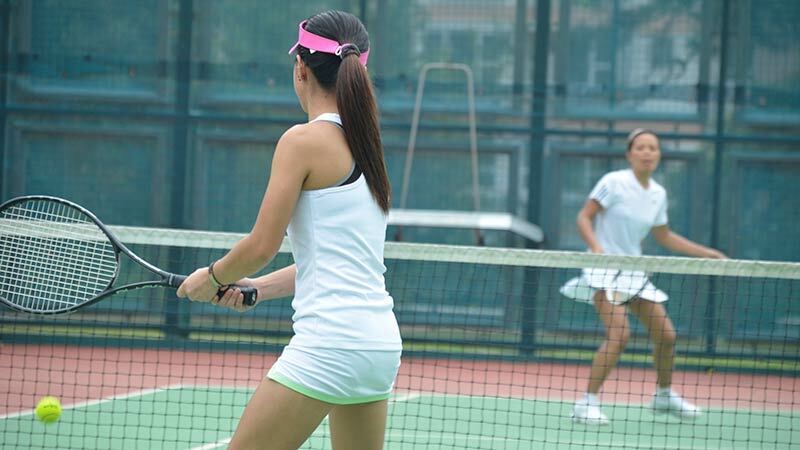 Most players in tennis prefer one or the other – singles or doubles. 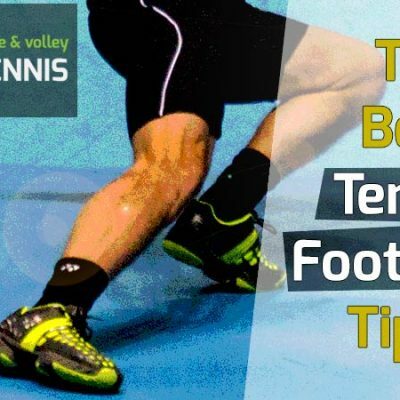 Doubles is usually the preferred choice for older players who don’t want to cover the whole court. In this sense, tennis offers a nice variety. Players who like to run favor singles. Those who don’t – usually older or out-of-shape people – usually opt for doubles. Many of the guys I play with enjoy singles and doubles equally – same as me. 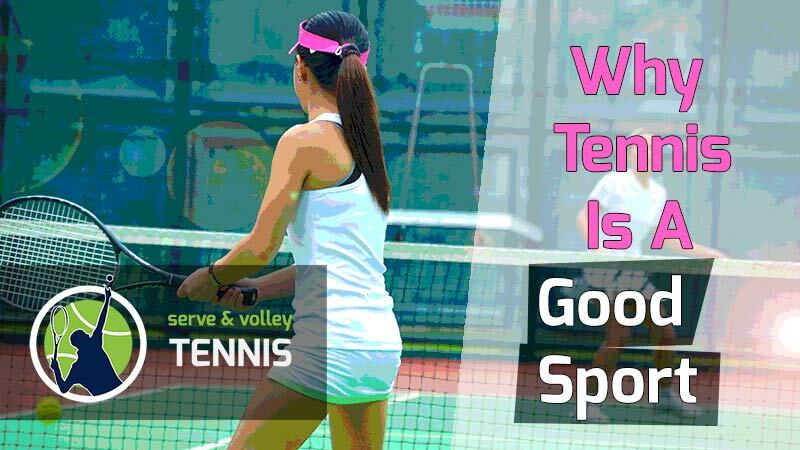 In terms of being a great social sport, perhaps no other sport compares to tennis – except maybe golf. Every sport has its own type of participants. Most of the people that play tennis are educated, successful, and respectful people. That’s one of the reasons I really love playing tennis: the people. You get to meet tons of new people and make awesome new friends. I met all my best friends in life through tennis. It’s also a great way to network. 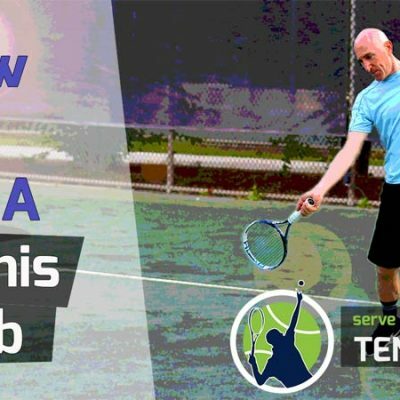 If you are looking to branch out and find new people to make friends with, or even for business reasons, tennis is a great way to do that and have fun at the same time. Simply through playing tennis, I’ve gained some great business opportunities. What’s also great is being able to have a network of people you can call on for help. Most tennis players I find are very helpful and good people. When you get to know them, you can hire them (if need be) and trust they’ll do a good job and give you a fair price. For example, one of the guys I play tennis with own an air conditioner repair company. When my air conditioner is not working, who do you think I call? It’s the guy I play tennis with every Monday. Some people even find the love of their life through tennis. I never met a romantic partner through tennis, but I still have hope. How cool would it be to hit and play matches with your boyfriend or girlfriend? When it comes to cardio, most people dread being on a Stairmaster or treadmill. Even 20 minutes can feel like an eternity. However, with tennis you get your cardio in without even thinking about it. Hitting a tennis ball is extremely pleasurable, even if you need to move to hit it. Without realizing it, you’re burning calories and improving your conditioning, all while having fun on the tennis court. I researched google and see that a 150 lb. person can reasonably expect to burn 300 calories from doubles and 400 calories from singles in a one-hour period. The number of calories increase the more someone weighs. If you’re looking to lose weight and stay in shape, there are few better ways than playing tennis 3-4 times a week. Tennis requires you to use every muscle in your body and if you don’t take many breaks, you’ll really work up a good sweat. One of my tennis clients pays me only to hit with him and play sets. He’s about 50 lbs. overweight and loves tennis. He lives out of town and doesn’t play much when at home. However, when he comes into town, we play almost every morning for an hour. Typically, he’ll lose 5 lbs. in the first week, even without changing his diet. Three months ago, I met a new player to our group named Ignacio. He’s 34, around a 5.0 level player, and was out of the game a while. Ignacio is also around 50 lbs. overweight. Within three months of playing 4-5 times per week, he dropped an incredible 33 lbs. (he just text me yesterday to tell me). I’m proud of him. 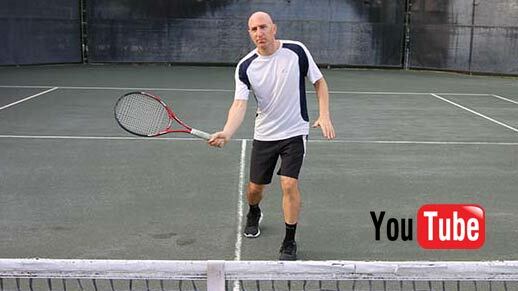 If you’re looking to lose weight or stay in shape, don’t overlook tennis. Most people much prefer tennis over the gym. As someone who plays tennis nearly every day, I never worry about cardio. As a matter of fact, my heart and breathing rate is so low from playing all the time, that I was accused of trying to fake a polygraph (lie detector) test a few years ago. No, I wasn’t in trouble. I was applying for a job and they required me to do a polygraph test. The giver of the test actually accused me of holding my breath to try to beat the test. I was then made aware of my breathing and could see that I was only inhaling and exhaling once every 12-15 seconds. I explained I was an endurance athlete and just breathing normally. He told me I better breathe faster if I want to pass the test – so I did. In case you were wondering, I passed. When you play tennis consistently – especially singles – you’ll be one of the fittest people you know. Just from playing tennis and going to the gym twice a week, I’ve been able to drop my body fat levels under 10%, despite eating a diet where around 40% of my calories come from fat. Check out these photos I just took. (Ted, I’ll send you photos). You can see how lean I am. Now, I’m not saying everyone will experience these results, but I’ve known a lot of people to drop weight playing tennis. 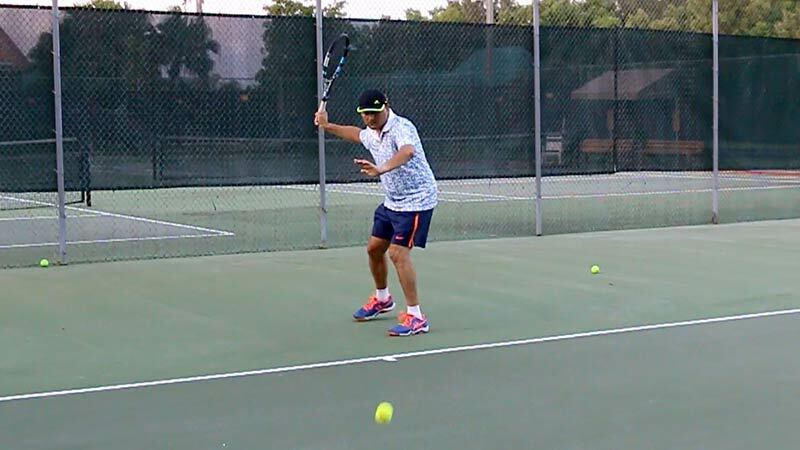 One aspect of tennis I really love is being able to improve despite your age. I’m 45 and I am still a work in progress. 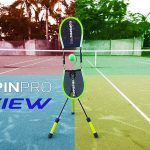 Just recently I improved my volley technique, kick serve, and two-handed backhand. Tennis can be a mysterious game. Just when you think you know it all, you realize you don’t. Not even close! Even an avid tennis player and long-time coach like myself is always learning new things about the game. And there’s no shortage of new techniques, drills, and ways of teaching I find. Being in one location for a while, I’ve played with the same group of players for the last dozen years. Some have really improved their game, despite being in their 40s and 50s. That can’t be easily said for other physical sports. Sure, anyone can improve their golf swing or bowling average, even after middle age, but they’re not physically demanding sports. I ask you this. In what other physical sport can a 60-year-old man or woman dramatically improve? Of the four major sports (basketball, football, baseball, and hockey – I’ll throw track and field and combat sports in there too), you never see a single athlete play better at 60 than they did at 20, 30 or even 40. There’s a reason why most athletes retire in their 30s. Unfortunately, with age, our bodies decline in physical abilities every year. Over the long run (30-40 years), it really adds up. 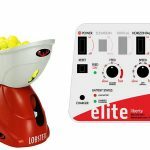 While the same rule set holds true in tennis, I believe recreational players can improve their technique and footwork any time in life (though after 80 it gets to be very difficult). Sure, it’s hard to teach an old dog new tricks, but it can be done. If you picked up tennis later in life, don’t fret. You can certainly improve if you have good coaching, practice diligently, and play often. But you have to really want it. Once you know the basics of tennis and can rally, it’s incredibly pleasurable to hit the ball. It’s even more fun to play matches. And it’s even more fun to win! I play tennis with a group of guys around my level. While I don’t play tournaments anymore due to time restrictions, I play in a singles and doubles league every week. It’s a blast. I can honestly tell you, there isn’t anything I want to do more than play tennis these days. After a long day of work, I can’t wait to hit the tennis court and hit some balls. If you play too, you know the feeling. The fresh air, the feel of the clay under my feet, and the smell of new tennis balls are all sensations I love. Tennis is one of the only things I do that gives me the chance to fully express myself. And all while enjoying the outdoors, great exercise, and awesome people. As I stated earlier, tennis is quite an addictive sport. 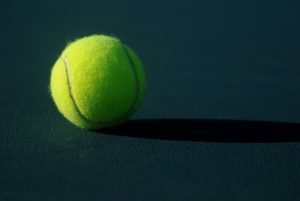 There’s just something that happens chemically in the brain when you hit a tennis ball. You almost never get tired of hitting it. I used to hit with a bunch of guys in Eisenhower Park, located in Long Island, New York. Without making any plans, about two dozen guys would meet at the park every weekend morning in the warm months. We’d just pick a partner and hit. I vividly remember hitting on those crisp summer mornings with the guys. It was so much fun. I loved the feeling of hitting a hard, accurate shot. Even to this day, I love hitting every chance I get. While hitting is great for perfecting technique, these days I prefer playing matches, and mostly doubles at that. There’s just something about playing with a partner I love. Don’t get me wrong, singles is great too. One of the coolest things about tennis is that every player has their own unique style. No two players are identical. Each one offer a different perspective. Simply by changing the partners you play against, the whole complexion of the match changes. There are power hitters, retrievers, net players, all-court players, etc. Each player poses different challenges. It’s always fun figuring out how to beat a player and then executing on that strategy. And if I lose (which is rare), I really look forward to a rematch. For those not as competitive, it’s just fun to get together with the guys or girls and play. A lot of people who play doubles like to sit around and talk and enjoy a drink afterwards. It’s often a very relaxing atmosphere – especially at the nicer clubs. I don’t care where I play. For me, the important thing is to play intensely. One of the best parts of tennis is going home and knowing I got in my exercise for the day. Most of the time, I go home drenched in sweat. I’m physically beat. I enjoy returning home, taking off my wet clothes, and entering a warm shower. After I get clean, I not only sleep better, but I feel like I had a productive day and a lot of fun too. You should try it. 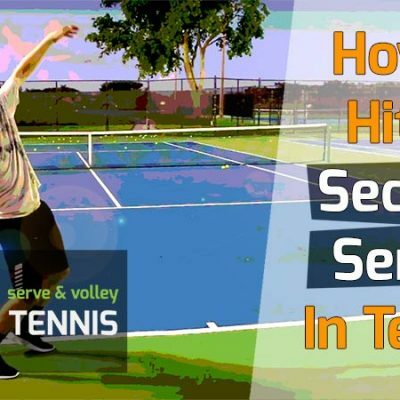 Tennis is one of the few sports you can compete in effectively from early childhood to your senior years. I teach 10-year-old who compete in tournament play. They can serve, rally, and play out points. I can really see the enjoyment they have, even though they look serious when playing. Likewise, players 70-years-old can play tournaments too, just like kids. In what other sport can you compete at 10 all the way to 70? You can’t do that in any of the four major sports. If you’re competitive like me, tennis is one of the best sports to compete in. First, there’s an endless number of players to challenge. If you live in any populated town or city, you’ll probably never scratch the surface of meeting all the players in your area. On a state and national level, you’ll have enough competition for a lifetime. Second, the levels in tennis are wide and many. 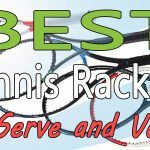 Unlike other sports, where it’s difficult to classify the skill level of recreational players, tennis has a ranking system. This makes it easy to find players around your level. But even players ranked around your level can vary by wide margins. This is due to physical ability, age, mental toughness, etc., which always makes matches interesting. Third, tennis is a great sport to let out your frustrations and calm your stress. You can step onto the court and whack the ball as hard as you want. At the end of the match, all your frustrations and stress are typically gone. Lastly, for those looking to be the very best, tennis offers an unlimited opportunity to play tournaments and move higher up in the rankings. And it’s all based on the merit system. The more you win in tennis, the higher up go. For those with a very competitive drive, there are USTA open tournaments, challenger level tournaments, and satellites. world, play against all different style players, and have great experiences. As you may be able to deduce from this post, tennis is the greatest sport. Yes, I’m going to proclaim it now for all of time. Even the legendary Mike Tyson said that tennis is the ultimate sport. 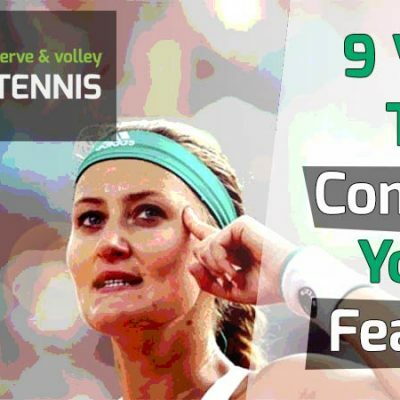 If you play tennis, you now have a few more reasons to boost your game and ramp up the play. 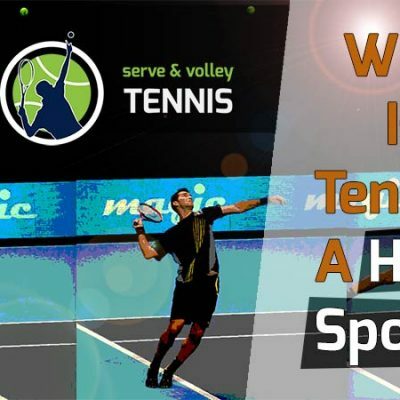 If you don’t play tennis, well what are you waiting for? Get out there and start learning. Tennis has something for everyone. If you want exercise – tennis provides it. If you want to have a barrel of fun, tennis has it. 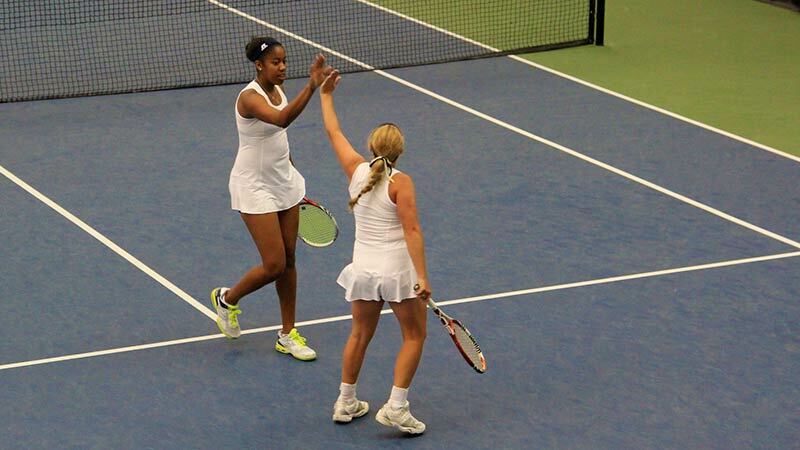 If you love to compete, you guessed it – tennis is the sport for you. I hope you enjoyed this post and found it entertaining. Thanks for reading. Check out my other blog posts for awesome tips to improve your game.